Stardew Valley was hard to avoid last year. The farming simulator hit was critically and commercially acclaimed for being a lovingly detailed and well crafted RPG for fans of the genre. The game was largely developed by one man: Eric Barone. In a recent profile with GQ, he opened up about his history, including a fun tidbit about the first game he ever made. He also generously shared with readers a download of the game. I took it upon myself to download it and check it out for you, but it is still available for anyone who is interested. 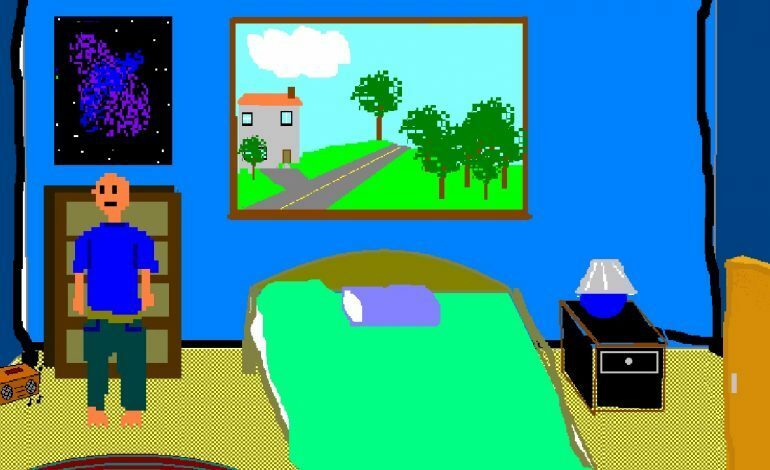 17CF Quest is a pretty standard point and click adventure game, except most of the art appears to have been done in Microsoft Paint. You start in your room, and head into your house, where your roommate tells you he wants you to come with him to see some concert later that night: for a band called 17 Colorful Feathers. You get sent on quests to collect items, spend a lot of time trying to force any object in your inventory to interact with something on screen, and have a lot of conversations with a colorful cast of characters. The controls are a bit clunky, but easy to pick up and use, and the on screen text is at times pretty clever and funny. Mostly, 17CF Quest can serve as a reminder to any developer starting out that your first game doesn’t have to be the best game ever made. It can have crappy art you drew in paint, and clunky controls, because at the end of the day, everybody starts somewhere. And eventually, your skill will catch up with your vision. You can download 17CF Quest here.